Microsoft Research approached Specular seeking an interactive and collaborative experience for the Grace Hopper Celebration of Women in Computing where over 10,000 women in engineering and computer science would be in attendance. 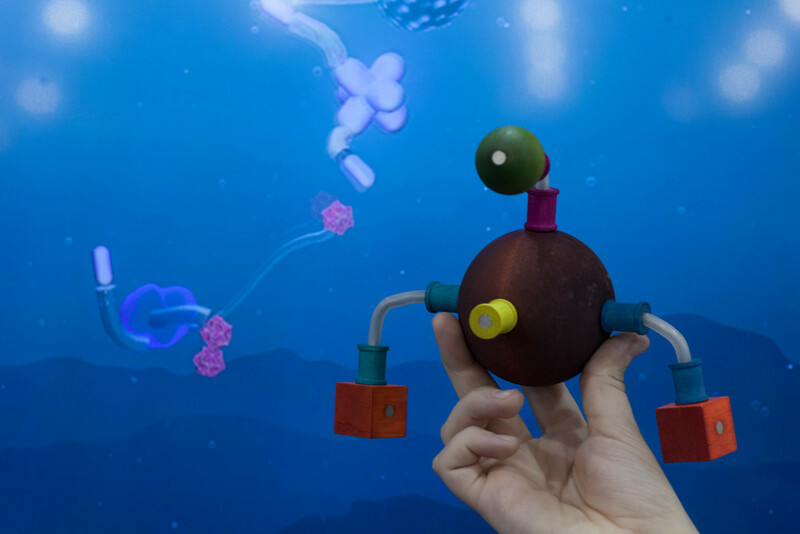 Drawing inspiration from Grace Hopper folklore and artificial life pioneer Karl Sims, we created a cabinet of curiosities allowing visitors to design personalized software bugs and watch them interact in a virtual aquarium. When the renowned computer scientist Grace Hopper discovered that a moth stuck in the relays had caused her mainframe computer to go on the fritz, she joked it was the first instance of an actual bug in the system. Bugs, glitches and crashes are an everyday nuisance in the life of a software developer, but some surprises can also result in unexpected breakthroughs. 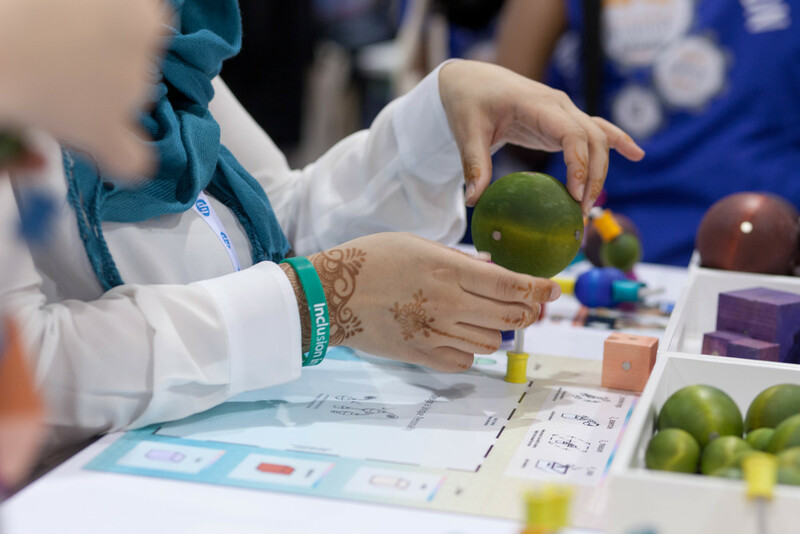 Celebrating these happy accidents, this installation, which premiered at the 2014 Grace Hopper Celebration of Women in Computing conference, invites participants to visit us at the Microsoft Booth to create bugs on purpose! At the Curio Aquarium, participants combine tangible objects in unique combinations, then place their creation into a cabinet to watch a virtual version rise into the tank. The creators name their creature as it wriggles to life, joining the tank to interact with the other creations. After watching their critter in the tank, visitors can revisit their critter and share with friends and family from their mobile device on the Curio Aquarium gallery website. The attribute chart shows viewers how the various parts influence the critters' personalities. Specular fabricated hundreds of hand-dyed wooden shapes of varying size and colors. Embedded with magnets, these shapes could be configured into countless combinations. Alongside, we developed a bespoke computer vision system using several Kinect for Windows Version 2 sensors fit into the custom curio cabinet. When a critter creation is detected in the cabinet, the system determines its pieces and their connections to recreates the creature virtually. When the viewer says the creature's name, it springs to life and interacts with the other creatures according to its personality. 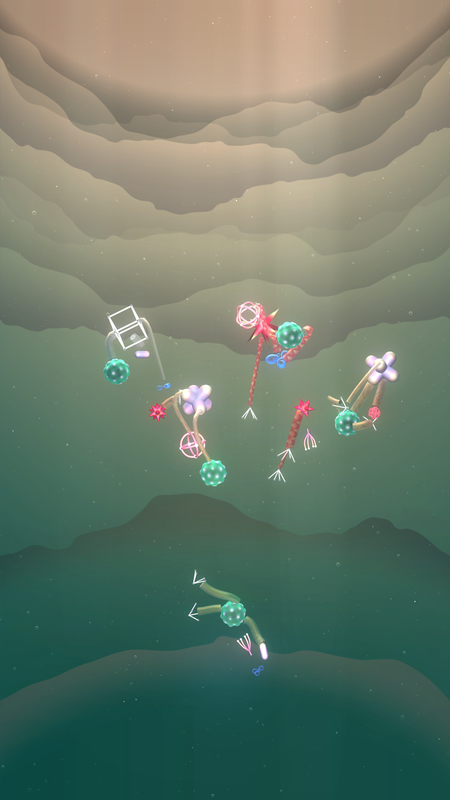 The Curio Aquarium was created with support from Microsoft and Kinect for Windows.